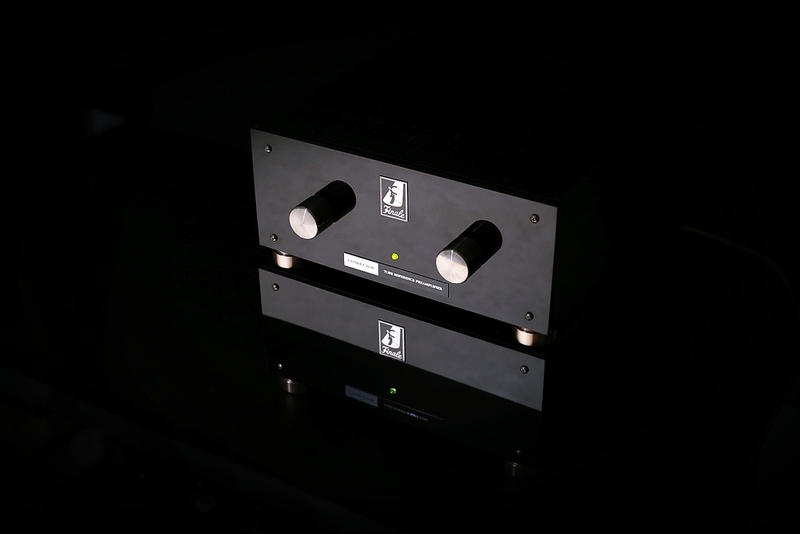 This is our flagship tube reference pre-amplifier, to match with our Grand Finale series power amps, and other high-quality power amps, solid state or tubes and hybrids. 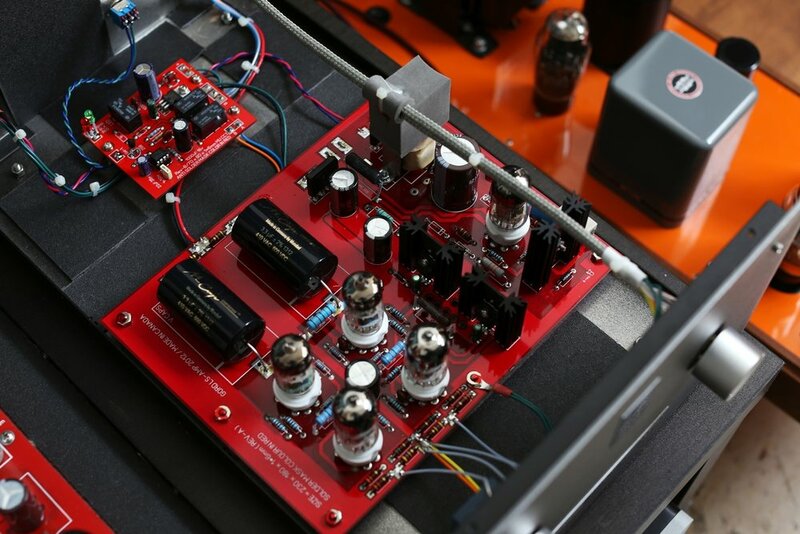 It is a no feedback design with a quad of6DJ8 / 6922 tubes, yield a 10X / 26 DB Gain. It is also proudly measured to have a S/N Ratio of 96 db, a weight which reads VERY quiet. With a feedback less design, we are very happy to see the result of 0.1% Distortion @ 1V Output (Very depending on the tubes / the quieter the better because of no feed-back design). For use, there are 3 inputs and 1 outputs. Nothing more to degrade the purest signal transfer. There are two units to make up a Conductor Pre-amplifier. The "Control Unit" and a "Power Supply Unit". 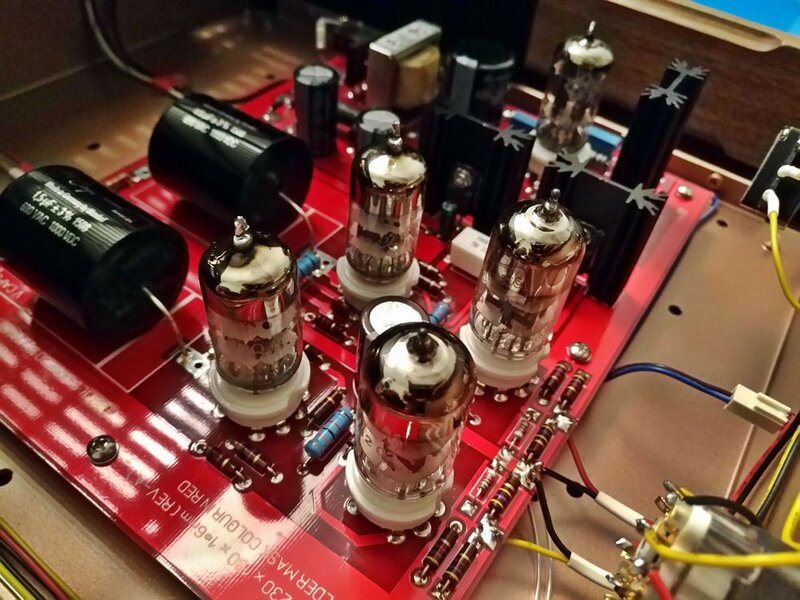 On the control unit, there are 4 x 6922/6DJ8's (same brand and prefer 80% matched tubes are recommended due to feedback-less design, what goes in and what goes out definitely applies here) + 1 x 12AX7 and a extra choke transformer for the pre-amp's regulator stage. This is the brain of the pre-amplifier, and we use only brand name parts throughout. A muting/protecting circuitry in the front allows the unit warm up 2 minutes at every start before it sends power to your power amplifier. (It starts with a red light and then turns green when it is ready for use). 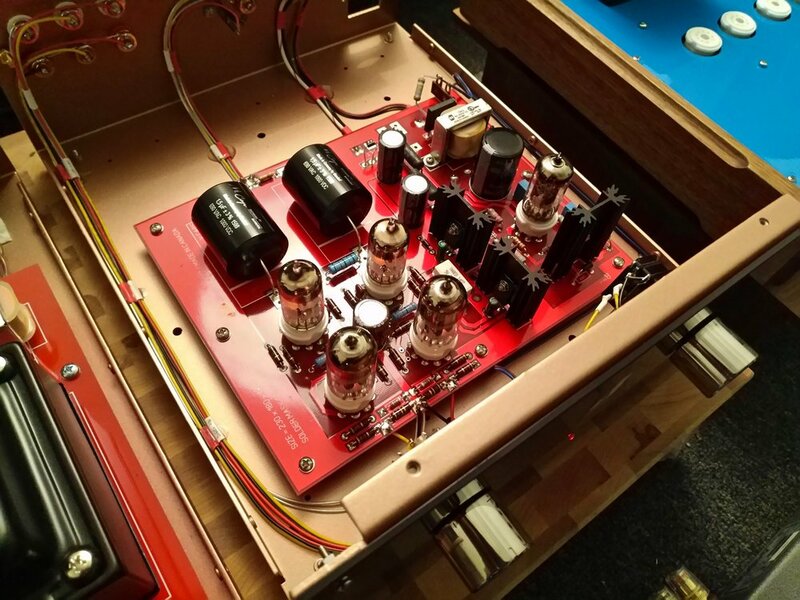 A extra flipper switch is also in place to let the pre-amp in "stand-by mode" (Let's say when you want to change the power amp, in a safe manner, especially high-end solid state power amps, which can be very sensitive). 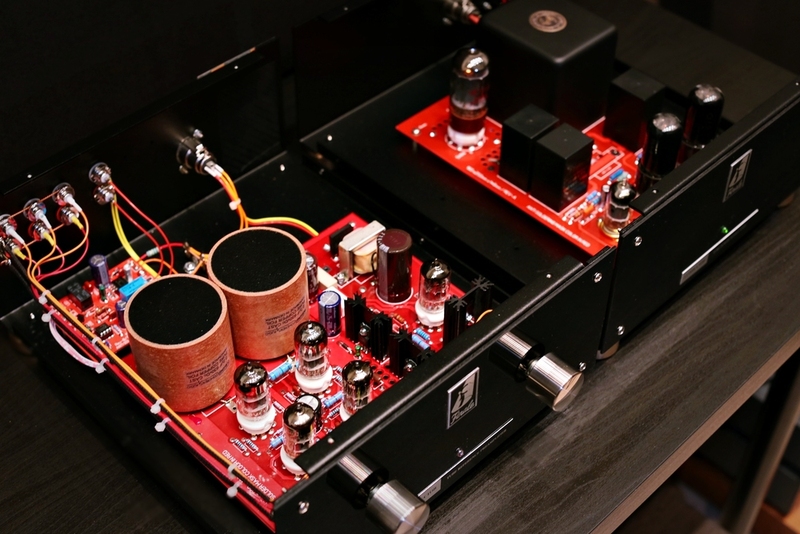 Our amp is exclusively powered by high-quality HASHIMOTO and HAMMONDS transformers. This is the reason why our amp provides a dark and quiet background (as well, operations). We do not compromise our quality with low-quality components. The units are then connected together, with a Beldin professional grade power cable with 4 pin Neutrik XLRs connectors / inlets. Options : Second Output (Free), Muting Circuitry (Free), Pilot Light Disconnect (Free), Faceplates Delete (Free), Low-Gain Edition (Half down to 5X), and even our best phono stage might make it as an option very soon, your best bet for a highest quality vinyl MM foundation. Looks simple? 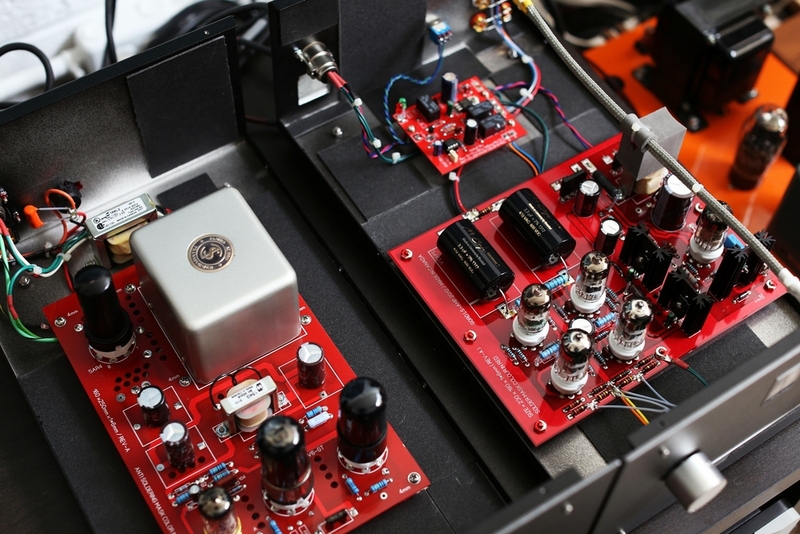 A high-end pre-amplifier is easily 4 times harder to design/engineer than a comparable power amp, and many times more precise/critical. 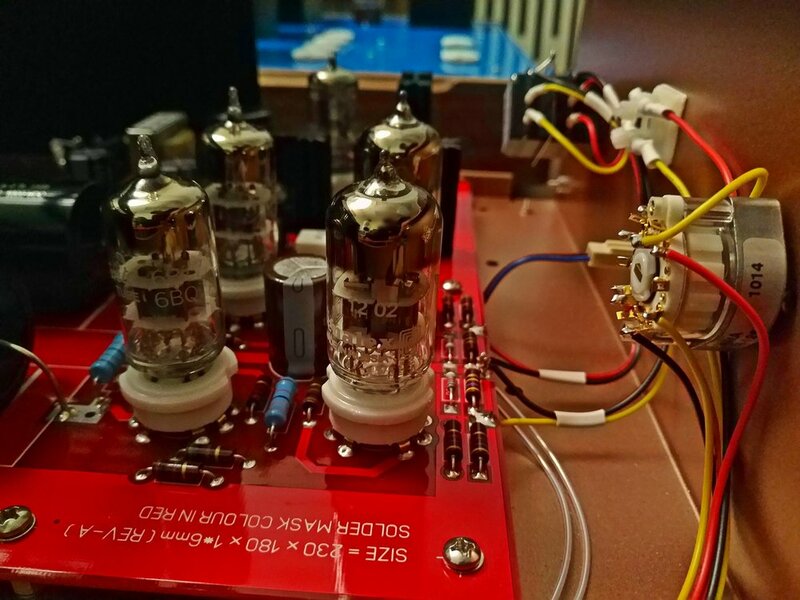 And this is our best shot to answer other flagship tube pre-amps out there, better than any other pre-amplifier we designed/original equipment manufactured (OEM) for other tube makers around the globe that we been doing for decades! 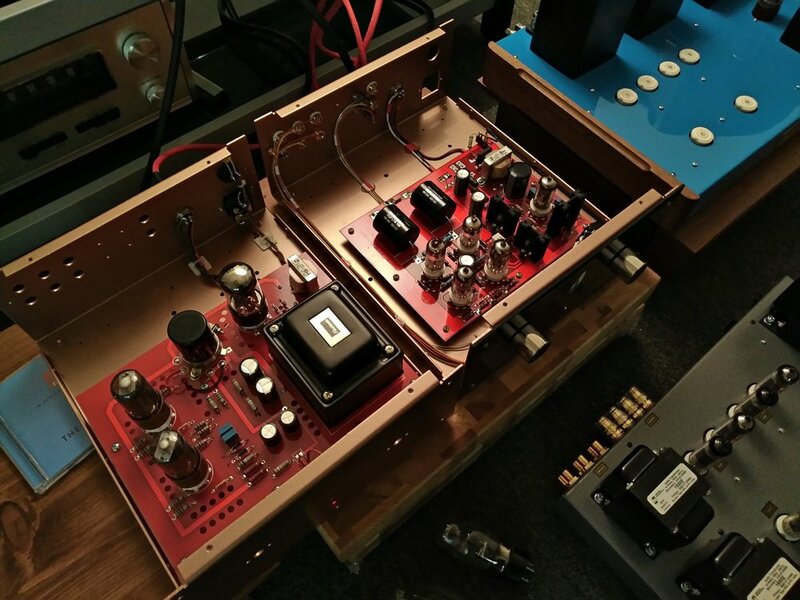 Every part on this pre-amplifier is handpicked, measured and tested to ensure they are matched and balanced for each channel. This is a very important procedure, because this is a feedback-less design, which is heavily designed on every step, part, and tubes. It is a lengthy task, same as the post-production bench test progress, we ensure you are getting this best product per dollar investment. Parts highlights: Mundorf Germany's Supreme Audio Capacitors, James and Hammonds Transformers, Alps Japan Volume Potentiometer, Lorlin UK Selector Switch, CMC USA Gold Plated RCAs (3 Inputs/2nd optional Outputs), Furutech Gold IEC Power Input, Neutrik XLR Sockets and Connectors, Belden Cable, Sound Coat...etc. Signature Version Upgrades included Mundorf Germany Supreme Silver or Silver Gold Oil Coupling Caps, Proprietary James Power Transformer (12V Tap beefed up to 14V for extended reserve for the high power 6922s), Alps Blue Velvet or TKD Vol Pot, DACT Selector Switch, DACT Solid Aluminum Knobs, Silver plated input signal wires, Furutect RHODIUM IEC Inlet, Sound Coats applied to the chassis, Solid aluminum footers, Dual Mundorf MtubeCap used in the power supply, and upgraded premium power delivery cable between the units. "